So, three years, three Airtight figures. Do I sense a pattern? Yeah, it’s a bit lame, but I like to call back to that first JAD figure post. 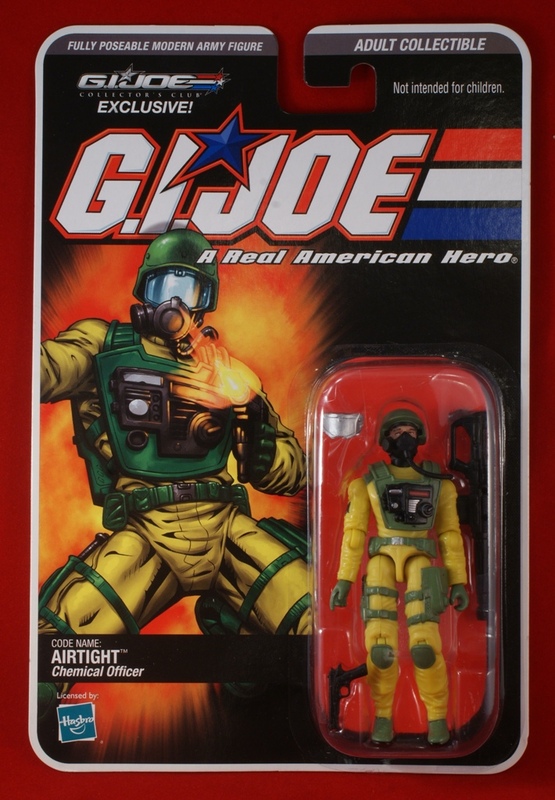 It was a simpler time… Someone asked once why I chose Airtight as my first subject, and my answer was that he kind of distilled for me what drew me into the 80s GI Joes as a kid beyond the first series. He’s a colorful and interesting character, in terms of his look, specialty and personality. Originally intended as part of the DTC series, Airtight didn’t see release until the assortment was picked up by the Collectors Club. By that time, the modern era construction style was in full swing, and the o-ring was something fans just weren’t as hungry for, especially in its “new sculpt” interpretation. I recall these guys hanging around the club sales for quite some time, and even being blown out at rock bottom prices not too long ago. 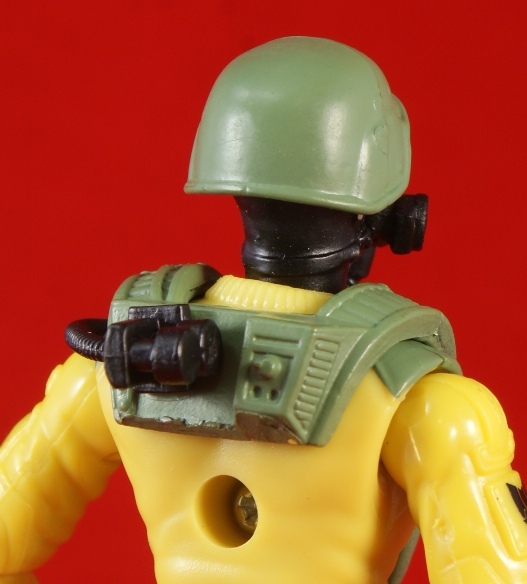 The figure certainly looks the part of the team’s hostile environment trooper, and though much of the body is a reuse of parts, the choices work well. 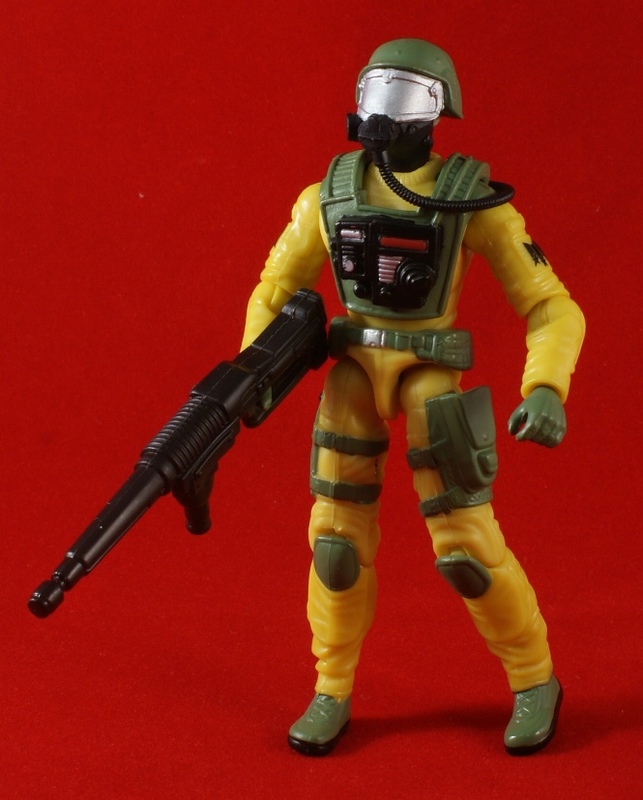 I didn’t much care for the mold as the DTC Barrel Roll on which he’s based, but in the case of a trooper who’s decked out in protective garb, the jumpsuit style works. It’s probably too form fitting for hazmat, but hey, it’s also a toy. Like some of the other interpretations of old characters from the time, Airtight’s design is taken in slightly different directions. The new elements, a redesigned helmet and chest plate, recall the old without being slavish to it. The helmet finally has a visor that actually seals off the elements, and its quite substantial as well. How can he see through that thing? Weapons are a bit of an afterthought, including the same rifle that was a part of DTC Grand Slam’s gear. Airtight just can’t hold it very well, despite having swivel wrists. I had to take a shot of the packaging before breaking into it, as I find the DTC presentation of the figures on card to be an interesting take on the classics of the 80s and 90s. The card art was fantastic, and brought the striking comic illustration style of the relaunch era into the bold layout of the past. Overall, I’m glad that I finally pulled the trigger on this figure, even if it was mostly as a gimmick for the first JAD year four post. 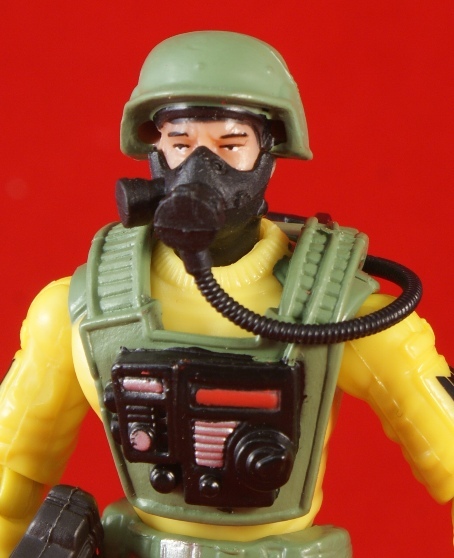 Airtight resembles a real world hazmat operative more than his 80s counterpart, and I’m glad for the change in direction. Even so, there’s also a bit of the fanciful to be found, and I’m glad he stuck to the bright yellow of old. It’s just a shame he didn’t get to bring his vacuum rifle to the party. The DTC card art turned out far better than the reproductions produced for the 25th line. They do nicely blend in the old with the new, certainly more so than any sort of packaging work post PoC. These DTC figures including the latter comic-packs show how awesome the o-ring sculpting progressed just before the 25th figures. I wish Hasbro had continued improving the o-ring instead of ditching it altogether in favor of the overrated modern construction. He’s a pretty good figure for his vintage. Kinda miss the vacuum rifle, though.